The quintessential classic umbrella is here. The Dixon Sunbrella Round Umbrella in charming Canvas is the perfect final flourish to turn your outdoor area into your dream space! A classic round shape available in two sizes, Dixon is making waves as the go to for simple, elegant style with regards to umbrellas. 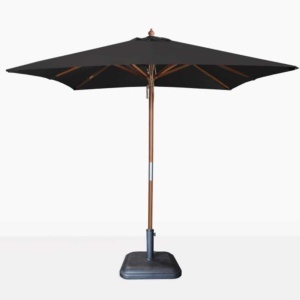 This stylish patio umbrella is fabulously round, taking a leaf out of smaller, domestic umbrella style from the turn of the 20th century and reinvigorating it with wonderful new, outdoor materials. Made from a sturdy frame with pulley system and highly praised Sunbrella® fabric, this round umbrella looks amazing while lasting for a good, long time! 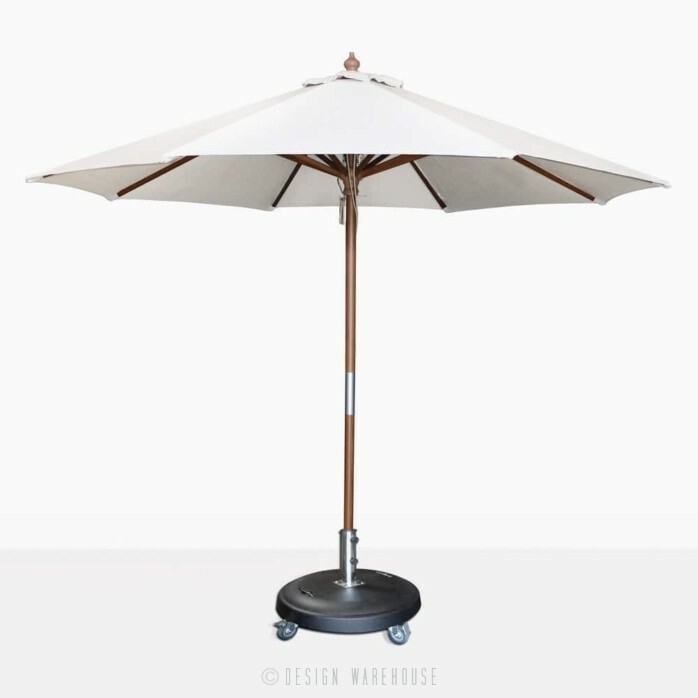 Whether you place it as a statement piece by the pool, or line up in a restaurant setting, or have on your patio; the Dixon Round Sunbrella Umbrella in classic Canvas adds charming style to any area! The umbrella base is sold separately. Place the the Dixon Round Umbrella on a balcony, and through one of our fantastic, heavy duty Hampton Teak Tables, and finish the look with a collection of Wave Arm and Side Chairs for a dramatic yet inviting look. Set up Dixon poolside with a line up of our superb, contemporary Summer Loungers, complete the look with Summer Side Tables and you’ve created modern luxury in your great outdoors. 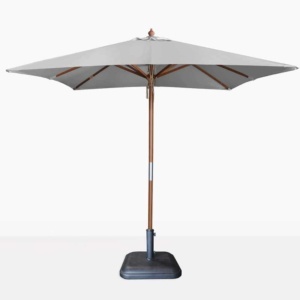 We love the Dixon Round Umbrella in the middle of a garden protecting you as you have your picnic or read a book on your Elizabeth 3 Seater Bench. Wherever you need it, we guarantee you’ll be thrilled with this classic, chic Dixon Round Sunbrella brolly! The Dixon Round Sunbrella Umbrella is available in 4 sizes, and 4 colours, so that you may purchase an umbrella that complements your outdoor furniture and spacial requirements. 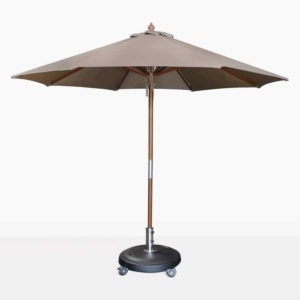 The Dixon range of umbrellas have an easy care pulley system while the incredible Sunbrella® canopy is available in Taupe, Canvas, Graphite and Black. The umbrella base is sold separately. Call in or call up to find the best collection for your home!